Not really sure how this happened - was towing the K700 with a small log trailer through the wide river on "Deluge" with an E7310. The K700 was veering off to the side when I was almost over the river, and once out of the water I saw this! Forwards would move sideways right, reverse to the left. Steering wouldn't move the articulation or any of the wheels. 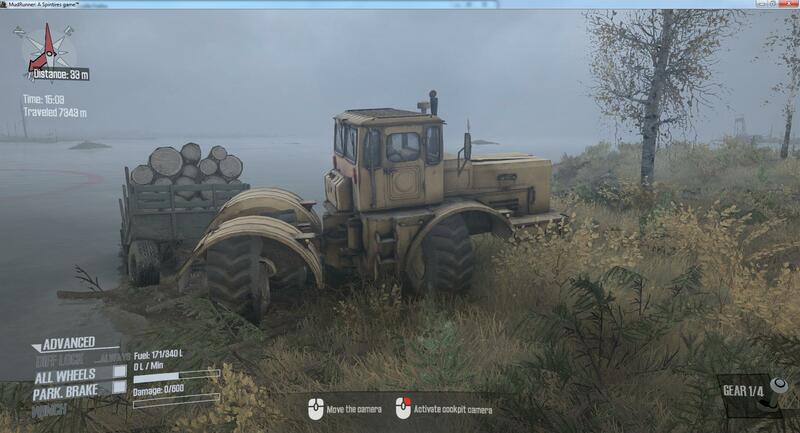 Problem isn't fixed by changing vehicles, or even quitting the game to desktop and reloading. Steam version running on Win7 64 bit. I am afraid K700 is a bit buggie this way and there is no specific help (if you've already tried game restart).